MIPS, the Material input per unit of service, is a conceptwhich can be used to measure eco-efficiency of a product or service. Generally it can be applied on all scales from a single product to complex systems. The calculation takes into account materials required to produce a product or service. The total material input (MI) is then divided by the number of service units (S). For example in case of a passenger car, the number of service units is the total number of passenger kilometres during the whole life span of the vehicle. The lower the material input per kilometre, the more eco-efficient is the vehicle. The whole life-cycle of a product or service is measured when MIPS values are calculated. This allows comparisons of resource consumption of different solutions to produce the same service. When a single product is examined, the MIPS calculations reveal the magnitude of resource use along the life-cycle and help to focus efforts on the most significant phases to reduce environmental burden of the product. 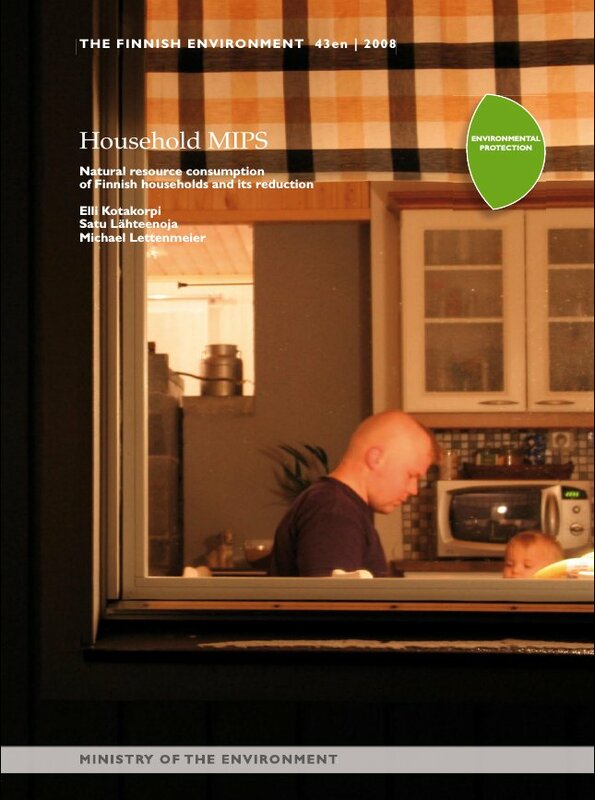 The purpose of the project was to test the application of the MIPS concept in view of a possible sustainability increase in private households. 27 voluntary households monitored their own consumption in the field of housing, mobility, tourism, alimentation, household facilities, leisure activities as well as packaging and waste. The project was carried out by the Finnish Association for Nature Conservation, the Helsinki Metropolitan Area Reuse Centre and the Sustainable Consumption Network of Finnish NGOs. The MIPS data were applied to calculate the ecological backpacks of the consumption of each household expressed in kg per person per year. The project developed educational and advisory materials based on the project results. Sylvia Lorek contributed at various stages of the project as external expert.